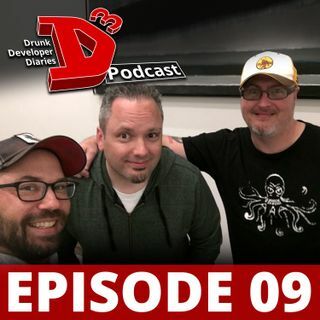 Bob Zammit joins us during our special E3 series at the D3 Podcast bar in Los Angeles! Bob is one of the Marketing Communications leads at Xbox and the guy responsible for all their PLAYERUNKNOWN'S BATTLEGROUNDS commercials. He's been a part of a ton of awesome titles such as Assassin’s Creed Origins, Cuphead, Call of Duty WWII, Battlefield 1, Final Fantasy XV, Fallout 4, Halo 5, Destiny, Grand Theft Auto V and so many more! His bio says it the best: "Pretty smart for a cool ... See More guy. Pretty cool for a smart guy. Statistically likely to be one of the best drummers in your office, but also one of the worst dancers." Ever wonder how being a punk rock drummer in your 20's can lead you into a career in marketing video games in your 30's? Bob did just that! He has one of the most unique outlooks on what he does and he's damn hilarious to boot. This guy makes a living making your games look good - probably best to listen to his advice!